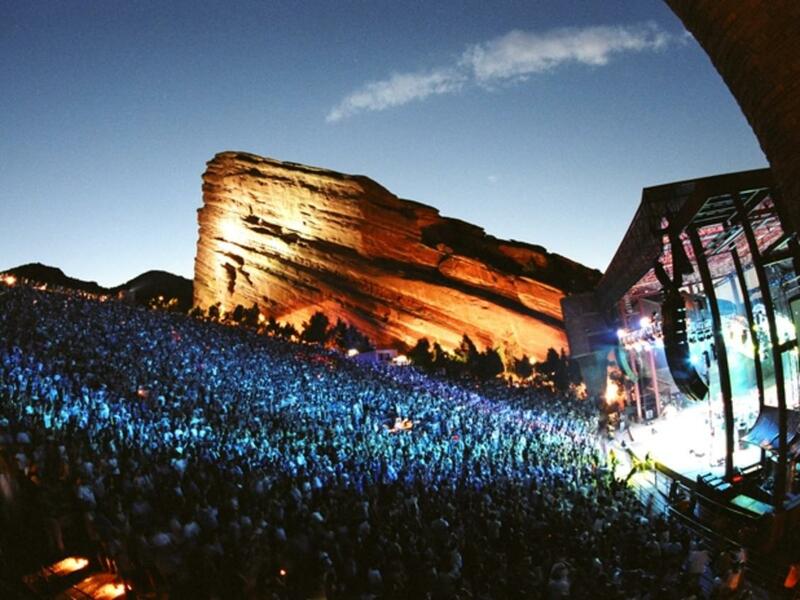 Any concert under the stars at Red Rocks is unforgettable, not to mention the new summer thrill of doing early morning Yoga on the Rocks or hiking and biking trails or simply running the steps at the world’s best concert venue. And to make your Red Rocks visit even better, begin or end it in nearby Golden, Colorado. Located only a 15 minute drive from Red Rocks, Golden is the perfect stop before a concert or after yoga. And in August 2018, Golden will become the home of the new Origin Hotel – the official hotel of Red Rocks Amphitheatre, adding to several nearby Golden-area hotels including Hampton by Hilton Denver West/Golden and the Holiday Inn Express & Suites that are perfect when you want to make a night or weekend of it. Golden’s compact historic downtown is centered around beautiful Clear Creek, which flows right through the middle of the village and is lined with restaurants, picnic benches, and bike trails. You can also stay downtown at the Golden Hotel or the Table Mountain Inn, or just visit for a relaxing dinner before the show or an after Yoga on the Rocks brunch. Another reason to visit Golden before a concert is that it has become the beer brewing capital of the world. Coors Brewery is the largest single brewing site on the planet and Golden has six other craft breweries and a distillery all nearby. Abejas Restaurant was recently selected as one of the top fine dining experiences in metro Denver, with a concentration on locally sourced, sustainable products in a relaxing, non-formal atmosphere. Woody’s Wood-Fired Pizza is a local legend with one of the best Western views in town. It’s known not only for their pizza, but also for the slow wood-fired pulled pork and whiskey sauce sandwiches. Table Mountain Grill & Cantina is easy to spot with its Southwestern adobe architecture and flower covered patio, while the menu and margaritas bring all the flavors of the Southwest and Mexico to life. Old Capitol Grill & Smokehouse combines history (it was the first capitol building of Colorado territory, when it was a frontier saloon) with great pub fare and BBQ. Sherpa House Restaurant & Cultural Center looks like it has been air-lifted from the Himalayas, set in a farm house dotted with artifacts from Nepal. How better to kick off a night at Red Rocks than with Yak Stew, or sit on the outdoor patio by the splashing fountain after yoga. Trailhead Taphouse & Kitchen is the place to go if the concert is featuring blues. 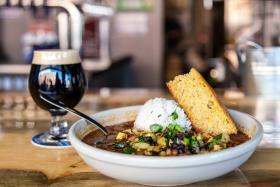 They dish out jambalaya, gumbo and craft beers. At D’Deli (consistently ranked as the No. 1 sandwich shop on the Front Range) you can have a true Colorado evening with a Buffalo ruben or smoked elk sandwich to go and head to a picnic table along the creek. Cheese Ranch Artisan Deli puts together a magnificent "Red Rocks Box" filled with various cheeses and meats prepped and ready for some fun pre-concert tailgating. 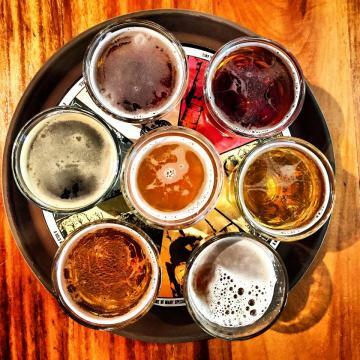 You’ll also find food trucks and craft beer at Golden City Brewery, Mountain Toad and Barrels & Bottles, all downtown within easy walking distance of each other and an easy 15 minute drive to or from Red Rocks. For gluten free Red Rocks patrons, don’t miss Holidaily, which offers award-winning gluten free beer and a perfect start to your concert. For more info on Golden, follow @VisitGoldenCO on Facebook, Instagram, Twitter and sign up for our quarterly email newsletter here.